First night in Hanoi, Vietnam. 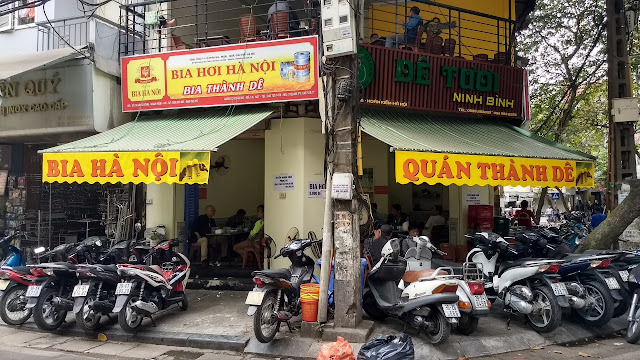 Within minutes of leaving our hotel on our first excursion out into the streets of Hanoi's Old Quarter we encountered what was to become a staple of our time there - Bia Hơi. 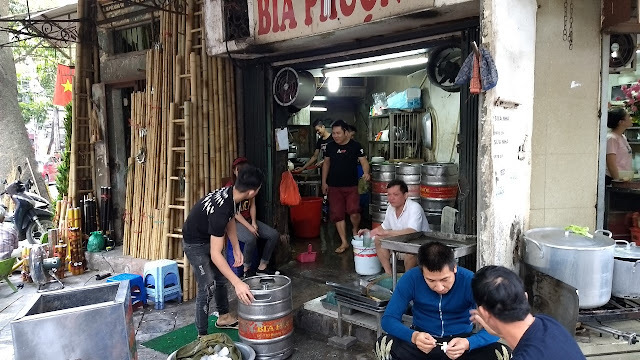 Bia Hơi is fresh, locally brewed draft beer served both on the street and in storefronts around Hanoi. 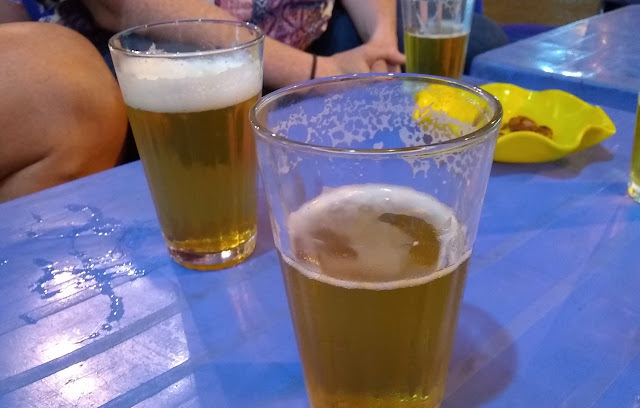 It is mild in flavor and low in alcohol (around 3 percent). In the heart of the Old Quarter, the streets are closed to traffic in the evening on the weekend and the "Bia Hơi ladies" set up shop. 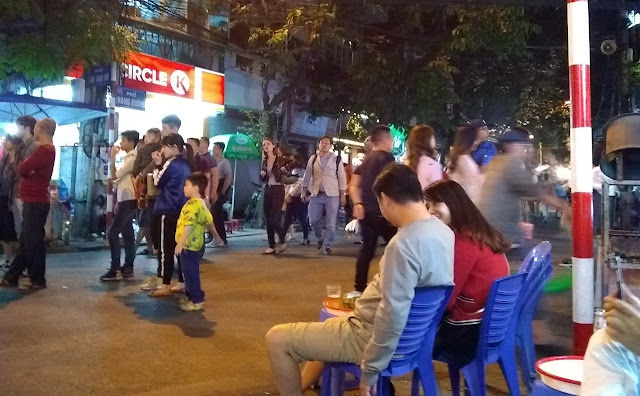 The patrons here are largely foreign travelers, but the area also gets heavy use from locals coming into the heart of the city for a night out. 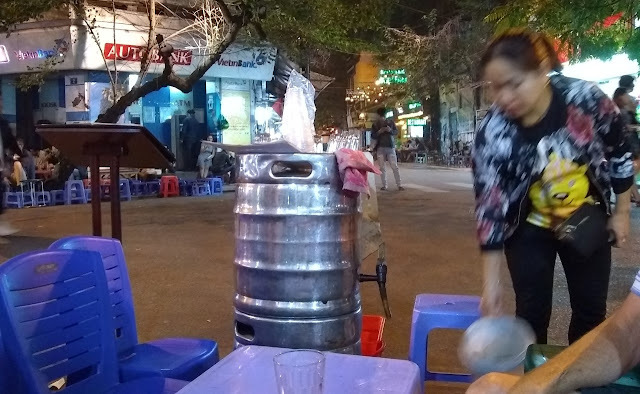 The going price for Bia Hơi on the street was 5,000 Dong, which is less than 25 cents US. More toward the outskirts of the Old Quarter you will find brick and mortar Bia Hơi spots. They are a bit more expensive (more like 7,000 to 10,000 Dong a glass) and patronized predominately by locals. These more established business often also serve food and are popular for meals both in the evening and at lunch time. 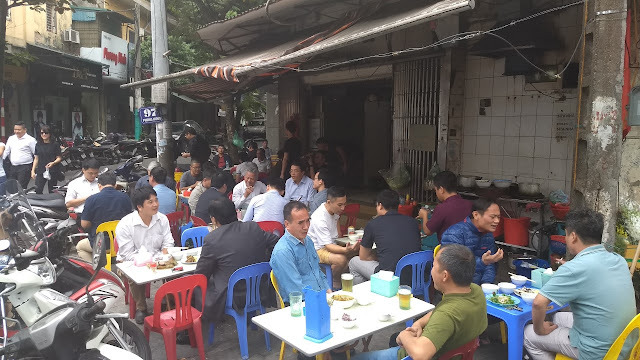 We really enjoyed sitting along the street and having a few beers each evening, watching people go by and swapping stories (and local food finds) with other visitors. 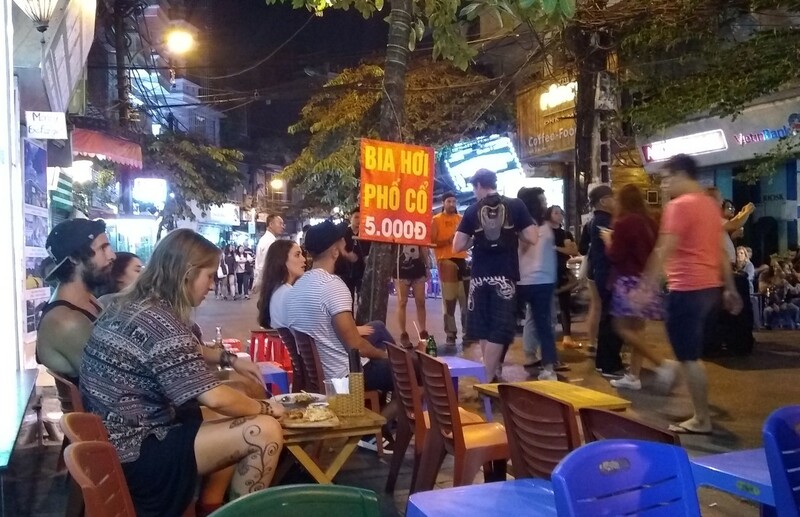 Funny, Bia Hoi has only gone up 5 cents since we were in Hanoi in 2008. Of course if you're thinking in percentages that's 25%.